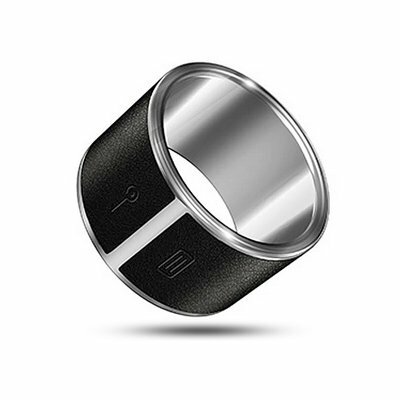 Successfully Added GalaRing NFC Smart Ring - Unlocks Devices, Stores Personal Card Information, High Quality Waterproof/Dust Proof Leather to your Shopping Cart. GalaRing NFC Smart Ring is a leather, waterproof, dust proof ring that allows you to unlock devices and store personal card information with near field communication. Just download the corresponding app, called GalaRing, on your Android mobile device, and you are ready to get started using the GalaRing NFC Smart Ring. This product allows you to easily swipe your ring across NFC enabled devices, such as smartphones, to unlock them. Or, if you want to use your bank card on an NFC enabled POS machine, you can do that, too. You will never need to charge it, plus it's waterproof and dust proof. Near Field Communications results in no wires or cables being used - just put the ring next to a receiver and watch it communicate the information that you need to communicate, whether it's an unlock code or card information. Not only is this a piece of technology, it's also a stylish ring. Even when you're not using it to unlock and store information, you may find yourself donning the GalaRing NFC Smart Ring to go with your favorite shirt. The GalaRing's solid, minimalist design is a universal fit for anyone who wants to partake in the wave of the future of NFC devices. In stock now, we guarantee that this GalaRing NFC Smart Ring can be dispatched within one working day with a 12 months warranty. Brought to you by the leader in electronic devices and wholesale Cool Gadgets, Chinavasion. One ring... To rule them all! !